Quad Cities Community Foundation's Sherry Ristau, CEO and Vice President, and Anne Calder, Vice President of Development, visit with Brittany Price about the re-branding of the Quad Cities Community Foundation and what that means for Quad Citizens. Wednesday morning’s WVIK newscast talks about the Quad Cities Community Foundation’s name change. 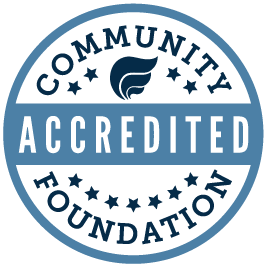 The Community Foundation of the Great River Bend has been rebranded. Today, it announced that the organization will now be called the Quad Cities Community Foundation. The Community Foundation of the Great River Bend has a new name that emphasizes its Quad-City mission.